A few weeks ago I popped in to Marks & Spencer to pick up a few bits and as I was heading for the escalator I spotted a wall of black and gold initials. Loving everything personalized I headed over to find they were grapefruit and ginger scented candles. I am a little obsessed with candles at the moment. In fact anything that smells amazing seems to take my fancy. But these A-Z individual candles were only £6 each and even better, on 3 for 2, so I couldn't resist. 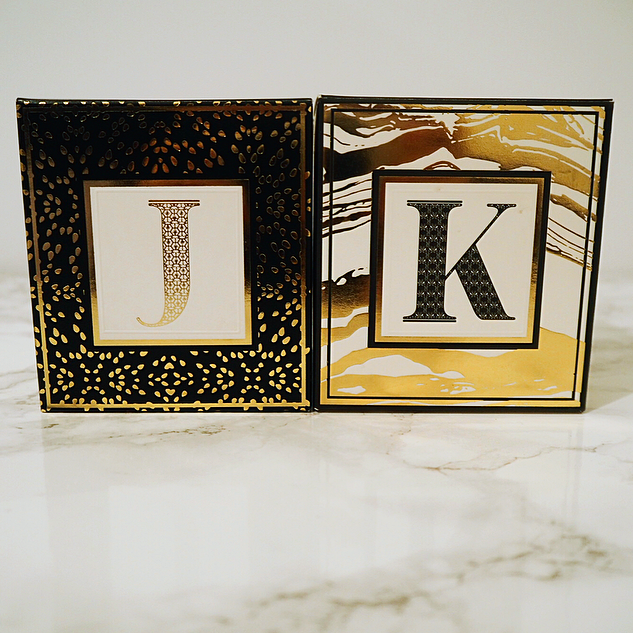 Luckily, with my initials being next to each other in the alphabet, it meant I got to have two different designs but even if I had to have the same, I would have still made a purchase. The candles really do smell amazing, even without being lit, I can smell them when I walk into the room. The glass holders make them look expensive and glamorous, and the packaging which can be seen below, is just something else. It's safe to say these cubes now have a permanent place on my dressing table. 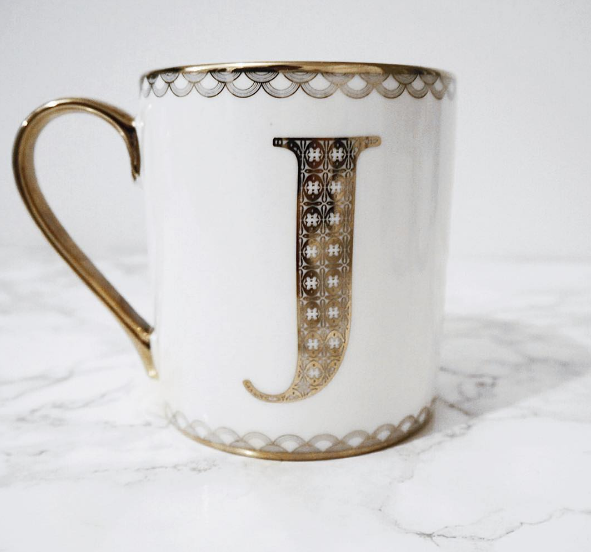 Due to the 3 for 2 offer, I was tempted to get another for a Christmas stocking filler, but then I spotted the white and gold personalized initial mugs and I just couldn't resist. I will start my Christmas shopping soon! This mug was £8, so a little more than the candles but this did mean one of my candles became a freebie! In all honesty though I probably would have purchased the mug too, regardless whether the offer was on or not. What do you reckon? perfect stocking fillers or an early Christmas present for yourself! These products look so luxurious, but are so affordable :-) I bet the candles smell amazing! I love the packaging of the candles, simple but chic at the same time! Stunning! I love anything from M&S!